This topic contains 6 replies, has 3 voices, and was last updated by John Anderson 1 year, 2 months ago. Over the weekend Formidable crashed and required an emergency minor bug fix. I applied this manually (3.0.1) and the form system came back up again. But it broke FormidablePro PDF. Can you please help this is a live system and the client will be very unhappy. I can provide you url and login details once I know this help question is private. Complete this form to provide site credentials. 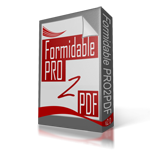 PRO2PDF has been tested and confirmed to be working with the newest release of Formidable Forms (3.0.1). You may need to disable other plugins to check for a conflict. Yes I’m sure your plugin is fine. I don’t think its a conflict. But I’ve can’t get the link working and need you to take a quick look. In PRO2PDF I am selecting the form of ‘Assessment Quiz’ and have a Field Map called ‘Vodafone Assessment Certificate’. The view contains the following which I think gets the [id] of the current form/login id/post$ and also has some css class names for formating as a button. The full code in the View is displayed. But I need this to be a button. and I’m not sure why this is not displaying as a button now. Its behaving as if PRO2PDF is not activated. We have not been able to duplicate the issue, the shortcode is working as expected for our tests. Are you able provide an example or further instructions on how to duplicate the issue? The issue has resolved. Thank you for taking the time to investigate.